Schools are failing a generation of children who are sacrificing their futures to care for sick or disabled family members, Barnardo’s has found. New research by the UK’s leading children’s charity shows how teachers are failing to identify and support children who are shouldering an extra burden as young carers by looking after their loved-ones. As part of the research published today (Wednesday, December 6), a YouGov poll* found that 40 per cent of teachers were not confident they would be able to identify a young carer in their class. More than a third (34%) of teachers surveyed thought there were young carers at their school who were not sufficiently supported and almost a third (29%) said they didn’t think their school had any particular ways of supporting young carers. This is despite some children and young people carrying out more than 30 hours a week of caring responsibilities** – almost the equivalent of a full-time job – and filling in the gaps left in adult social care. 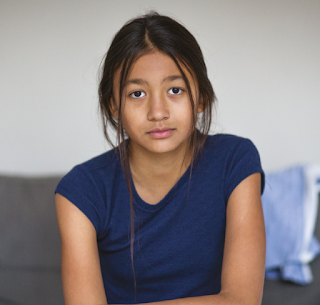 Barnardo’s research with practitioners working to support young carers has shown that caring can take a huge toll on children’s mental health, as well as their achievement at school. More than three-quarters (75%) of the practitioners Barnardo’s surveyed said that most or all of the young carers they had supported had suffered from anxiety, depression, isolation and feelings of anger. All the practitioners had worked with children who had self-harmed. “It is simply not acceptable that children are having to sacrifice their futures to care for the ones they love. “Austerity has meant local authorities have had to cut back on adult social care and the result is children are picking up the pieces. A quarter of the children supported by Barnardo’s young carers’ services are carrying out more than 30 hours a week of caring – that’s the equivalent of a full time job. “It’s clear from our research that there is a lack of awareness among teachers that needs urgently addressing. Schools need to take more responsibility to make sure young carers are properly supported. Under the Care Act and the Children and Families Act, teachers – and other professionals working with children – have a statutory duty to identify young carers and refer them to the local authority to be assessed for support. The poll of 800 teachers found that nine-in-10 teachers thought caring responsibilities could impact negatively on young carers’ school lives as it could mean they were late or absent from school or have trouble keeping up with work. Stacey***, a young carer since she was three-years-old, dropped out of school in Year 10 because of the lack of support available there, and ended up going to a pupil referral unit. She also dropped out of college because of her caring responsibilities. She says her school and college were only active and intervening when she was dropping out because they had to be seen to be doing something. She cares for a parent with mental health problems who can be violent and Stacey herself has suffered from panic attacks, self-harm and anorexia. She said: “Every day I’d go home and I’d think ‘will I have to call the police, what will happen today?’ I get very stressed and overthink everything. It’s very tiring. Every night I’d have a breakdown. “I don’t think teachers understand that stress and that just puts extra stress on a young carer. It’s continuous in Year 10 and 11. You have revision, exams, caring – you don’t get time to stop. Something has got to snap eventually – one little thing can tip you over the edge. Despite recent changes to legislation which have led to more young carers being identified, there are still children with caring responsibilities slipping under the radar. And cuts to local authority budgets have meant that more and more children are taking on more and more caring responsibilities. Carrie***, 20, has been caring for her mum and younger siblings since she was six but didn’t realise until she learnt about young carers at school in Year 8, although she was carrying out caring responsibilities daily, including making dinner, bathing her mum and putting her to bed and helping her siblings with their homework. She was referred to Barnardo’s young carers’ service in Year 8 by a therapist after she stopped eating or speaking. She said: “I do caring seven days a week and there isn’t a day I can take off. “Other young people go home and their mums and dads do their washing and cooking so they can do their homework and play on their X Box until 11 or 12 o’clock at night. This Christmas Barnardo’s is asking people to donate to help reduce the burden on young carers and has produced a short film based on the experiences of Megan, who looks after her mum and little brother Ben. *All figures, unless otherwise stated, are from YouGov Plc. Total sample size was 808 teaching professionals. Fieldwork was undertaken between 20/09/2017 - 01/10/2017. The survey was carried out online. The figures have been weighted and are representative of the teaching population by phase, region, gender and age. **In our survey, young carers were asked if they could estimate the number of hours a week they spent caregiving. Although nearly 27% did not know how many hours they spent caring, over 25% (20 young carers) said that they undertook over 30 hours of caregiving a week.